Tokunation › Super Sentai › Super Sentai Strongest Battle Preview Released- New Ryusoulger Revealed? Super Sentai Strongest Battle Preview Released- New Ryusoulger Revealed? Toei has released the first preview for the upcoming Super Sentai crossover special, the Super Sentai Strongest Battle! This four-week special will feature a number of Super Sentai heroes assembled for a tournament on a faraway planet, to determine the strongest hero in the universe. 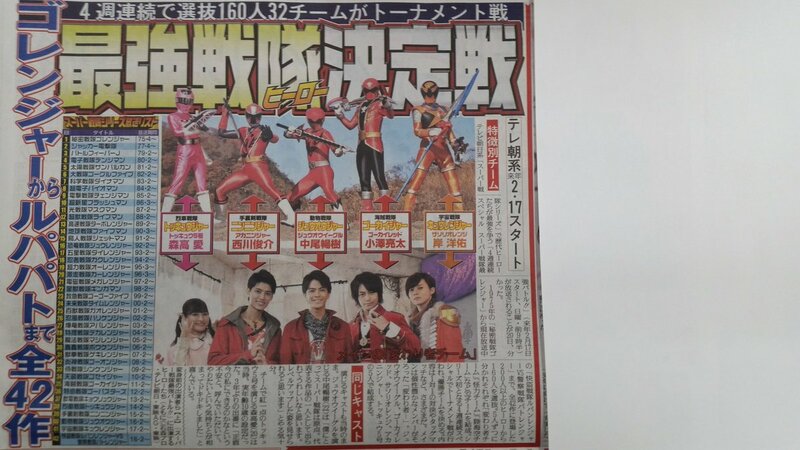 Of particular note, this preview features the first appearance of the 43rd Super Sentai Series- Kishiryu Sentai Ryusoulger! 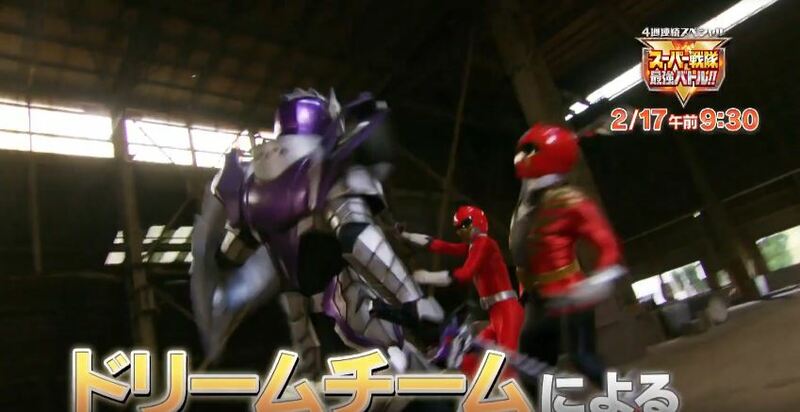 A very strange figure can be spotted fighting the Ryusoulger team- a knight, in purple armor, wielding the same RyuSoulKen sword weapon used by the rest of this team. Could this be our first hint at the SIXTH member of the Ryusoulger team? Or perhaps the signature opponent of the legendary Knights? Only time will tell! The Super Sentai Strongest Battle begins on February 17 2019! Stay tuned to TokuNation for further details on this exciting special release! I�m curious, is it just the 5 Rangers featured (Super Megaforce/Gokaiger, Ninja Steel/Ninninger, ToQGer, Zyuohger, Kyuranger), or will there be Rangers from other series featured as well?